Teamwork is more than a buzzword used ad nauseam, more than a poster with the words “There’s no I in Team” in your conference room, more than a pep rally with the sales manager spouting, “Let’s go team!” It’s certainly more than sending everyone out to do a ropes course in the middle of the woods. Although the words team and teamwork are mantras in nearly every sales organization, not every team is a team. Even sales teams stocked with high performers and sales managers with the best intentions can end up floundering. The reason is a lack of focus, says Patrick Lencioni, author of the best-selling book The Five Dysfunctions of a Team (Jossey-Bass, 2002) and president of The Table Group. Third, identify the barriers that are preventing the team’s short-term goals, says Robbins. Are they people, process or structural? Fourth, determine the infrastructure support. Who is on the team as a core team member? Who is a resource member – someone people call on to help out? Who’s in charge? Is there internal feedback on a regular basis? How are team members evaluated and compensated? Once you’ve got a solid structure in place, sales teams need to be consistently analyzed on a regular basis. Changes in the market, industry or product line can greatly affect how a team works together. Lencioni says many of the common pitfalls of teams – members withholding information, lack of commitment – stem from a lack of basic trust. To circumvent this, Lencioni says the sales manager and the team must establish team rules together, gain agreement and hold each other accountable. “A great team doesn’t rely on the leader as the primary source of accountability. Leaders are the ultimate source, of course, but team members have to be accountable to one another,” Lencioni says. In her most recent book, Bad Leadership: What it is, How it Happens, Why it Matters (Harvard Business School Press, 2004), Barbara Kellerman, a research director at the Center for Public Leadership, Kennedy School of Government, Harvard University, examines why teams often go awry. Sometimes teams and sales reps tend to look at the economy, competitors, marketing and their manager for blame if they aren’t succeeding, says Jeff Hoffman, CEO of Basho Strategies Inc., and a highly sought-after motivational speaker and sales-management consultant. While there is no single formula for healing a toxic team, the experts agree there are some things that must be done. First, realize there is no quick fix when it comes to eliminating team toxicity. Second, know that it’s going to take a lot of work and the right kind of leadership. If your team is spiraling downward, no amount of team-building exercises, pep talks or games will help stop the fall. You’ve got to get to the root of the problem and work to fix it from there. “Team-building exercises usually work to strengthen an already healthy team,” says Hoffman. “The fun stuff – the outings, dinners and ballgames – are just Band-Aids when a team is ailing. What constitutes team-based activities? Hoffman suggests a healthy competition between sales teams – such as a closing or quota contest between the East Coast and Midwest. Lencioni recommends two intense, focused days going through a team-based program that helps members learn to be open and honest with one another. Besides discovering strengths and weaknesses, this is when goals, objectives and team rules should be established. After the meeting, you must continue nurturing that team atmosphere even if your team is located in different territories. 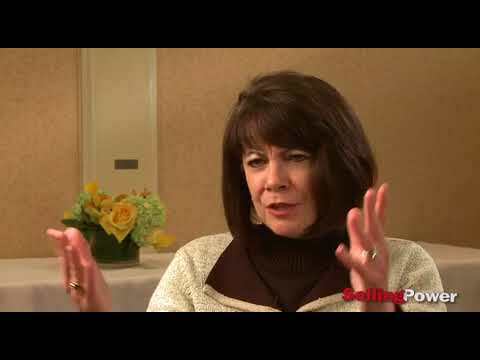 To consistently keep your team motivated, communication has to be raised to an art form, says Joanne Sujansky, speaker, leadership expert and president of The Key Group in Pittsburgh, PA. “Develop a team identity – a team mission statement, logo, slogans – and communicate it clearly,” she says. “Make sure that everyone sees the big picture. Then develop the actions, steps or sales processes necessary to achieve your mission. Specifically describe what you mean by team behavior. Above all, remember that not every technique will work for every team. Even the least experienced sales manager knows that what works for one person might not work for another. Keep a variety of activities going, and be sure to reward your team as a team. In his book, The Five Dysfunctions of a Team (Jossey-Bass, 2002), author Patrick Lencioni analyzes five things that can send a team off the deep end. If you recognize any of these behaviors taking place on your sales team, take the recommended actions to correct them. Action: Get the team, including the leader, to open up at a two-day team meeting. Analyze strengths and weaknesses and ask each person, what do you do that helps the team? What do you do that hurts the team? “If the sales manager is committed to making a team work, and there are people who aren’t willing to be part of a team, then it’s his or her responsibility to weed those people out,” says Lencioni. Action: Don’t allow team members to argue about personal issues. Steer conflict toward issues and solutions. 3. Lack of commitment. “We have to agree to disagree, but once we make a decision, we have to fully commit to it,” says Lencioni. Action: Develop team rules and enforce them. 4. Unwillingness to hold each other accountable. “Great teams have peer-to-peer accountability,” says Lencioni. Action: Don’t allow people to ignore what the team is committed to. Action: Set team goals, use team-based incentives and rewards. 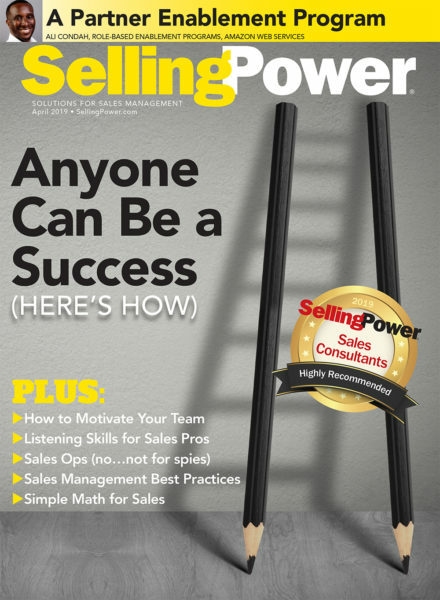 “Salespeople aren’t coin operated, they are success oriented,” says Lencioni. “Money isn’t a driver; winning is a driver – because it’s fun to win. If I run a territory and I want my salespeople to sell like a team, my rewards have to be team based. Patrick Lencioni is the president of The Table Group, a San Francisco Bay Area management-consulting firm. In addition to his work as an executive coach, consultant and author, Lencioni is a sought-after speaker. leads. They aren’t willing to coach one another internally. supposed to do, or it makes no sense to them. • Team members work independently, sometimes at cross-purposes with others. • Members are so cautious about what they say that there is no real understanding. • Members find themselves in conflict situations they do not know how to resolve. They do not differentiate confrontation and conflict. • Conformity often appears more important than positive results. Recognizing, pinpointing and eliminating these behaviors are the first steps toward healing. Ignoring them can spell disaster. Quite often, the sales manager has to step back and look at the team structure to make sure the team is really working as a team, not as individuals working on a team. Harvey Robbins and Mike Finley have collaborated on many books including The Accidental Leader (Jossey-Bass, 2003) and Why Change Doesn’t Work (Petersons, 1996).